When you use Twitter for your business marketing strategies you are basically using a whole different kind of marketing strategy. This is one of the best techniques to actually get to know your market better than any other social networking site. You don’t just upload your marketing campaign and leave it to do wonders for your business; you have to constantly keep in touch with your customers every day. For a Twitter marketing strategy to be successful you need to constantly keep in touch with your clients and also be on your toes to respond to their questions as well. It’s a very efficient campaign that most companies are missing out lately since most strategies are created and evaluated after a given period. A specialist in Twitter marketing should take care of monitoring Twitter users that respond to your campaign and reply accordingly to every question; the mood of the customer is also gauged in his potential to purchase or ask about your product or service. When all these are taken into perspective you will eventually develop a genuine effect in your customers and will likely win him over to buy or avail of your services. Small Business SEO Success will help you develop a Twitter marketing strategy that will get your business more attention in this networking site as well as rank better in various search engines. Our team of experts are not just able to handle SEO consulting or PPC services but are also well experienced in social media marketing services like Twitter marketing as well as other social media sites. With all these marketing strategies serviced by one company, you will be able to save time and money in looking for the most efficient solution in web. Small Business SEO Success will provide you with the most effective Twitter marketing campaign, to add more followers to your company’s Twitter account drawing more attention to your site. When you use Twitter to establish your company online you are facing challenges to improve your company’s voice through a challenging avenue. Some companies formally engage with their Twitter followers with straightforward marketing tones; this is effective to use however reduces the opportunity to interact with your customers in a more personal manner. However, if you decide that being formal and straightforward in your campaign is the best way to introduce your business then we will be glad to develop this kind of Twitter marketing strategy for your company. Your tone should be easily embraced by your customers and who could better understand your customers than you! And regardless you want to personally handle your own Twitter marketing or you want a specialist to take care of all the details for you then you can trust that Small Business SEO Success will assist you in your day to day social media management. Integrate your Twitter account with your other social networking sites like Facebook, YouTube and blogs. Your Twitter account has all these for you to use at no added extra cost. Do you have an existing account that you wish to transform into a business account? 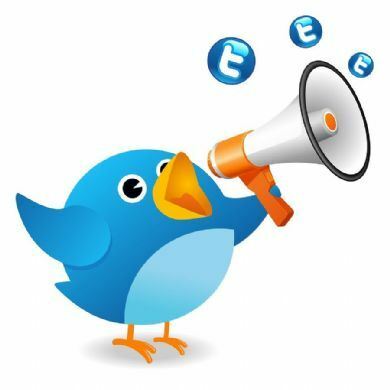 Small Business SEO Success can help with Twitter marketing quote. All you need is contact us and we can transform your profile into a business page that will get you closer to your customers better.